Designed to be budget neutral by CMS, PDGM’s impact means that some agencies may realize revenue gains under PDGM while others will not, all things being equal and unchanged from 2017. Agencies which relied on therapy volume for patients without a directly preceding inpatient stay may have to overhaul how they approach care delivery and case management. Compared to an Institutional referral that has a case mix weight of 1.1855, a case mix weight for a Community episode is 0.8782 according to a technical report from Abt Associates with projections and estimates based on 2015 numbers. The difference means that a patient who is referred via a Community-based setting will receive less of a bump in their case mix weight adjustment. This highlights an area of concern for many agencies. Agencies are being advised to evaluate their current referral sources and estimate how PDGM will impact their business from these referral sources, especially if the majority of recent and current patients would be classified as Community admissions compared to those who may be classified using the Institutional source criteria. Agency executives can then explore if they can shift their targeted referral sources toward Institutions as these facilities may more positively impact their overall business. Building and/or strengthening relationships with Institutional referral sources may be key to agencies’ long-term survival. An area’s home health agencies are already in direct competition when protecting and growing their referral/revenue stream from hospitals. Now, these agencies will also be focused on addressing a potential decrease in reimbursements if a high percentage of their patient population is typically referred by sources such as physician offices. As they prepare for PDGM’s changes, agency leaders should also focus on nurturing and growing their network and making sure their unique value proposition and can best support Institution-based referral sources. Evidence showing how one’s agency minimizes avoidable and costly readmissions can help fortify these relationships. When evaluating agencies for PAC care referrals, hospitals are prioritizing those agencies who have been able to demonstrate a reduction in readmissions as well as an improvement in clinical outcomes. Technology – such as a virtual care communication platform – has a role in helping agencies better position themselves with institutional referral sources. Virtual care platforms can help agencies reduce readmissions by using technology to treat patients in place – the patient’s home. A facility’s clinician can be “present” more frequently via video; additional clinicians and specialists can also connect with the home health patients and visiting nurses to ensure that the patient is receiving the care they need without requiring a transfer back to the hospital. Connect with patients early, especially pre- and immediately post-discharge. 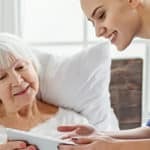 With a virtual care platform, home health providers can be introduced to the patient before the patient is discharged, setting expectations on the follow-up appointments. After discharge, the provider can use video and messaging to monitor progress and motivate the patient to adhere to the medication plan and lifestyle changes on a regular basis. Incorporate specialists (such as a clinician and/or pharmacist) to address patient questions. According to the Centers for Disease Control and Prevention (CDC), adverse drug events cause approximately 1.3 million emergency department visits each year. About 350,000 patients each year need to be hospitalized for further treatment after emergency visits for adverse drug events. People typically take more medicines as they age, and the risk of adverse events may increase as more people take more medicines. 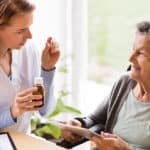 With a virtual care platform, home health providers can include additional providers who can answer patient concerns which are outside the realm of the home health provider without requiring the patient or the specialist to travel to a different location. Drive understanding amongst patients with language barriers. Discussing important care instructions to patients is vital to prevention of readmissions. Patients who are part of the Limited English Proficient population may miss vital information, impacting outcomings and readmission rates. With a virtual care communication platform, a home health provider can quickly introduce an interpreter into the video call to deepen patient understanding. Messaging at each touchpoint can also be translated into the patient’s primary or preferred language. Bring in the patient’s family (whether near or far) into the video-based virtual visits. Involving family members in the care, support, and communications will help the patient transition from inpatient to outpatient and also strengthen understanding and commitment to the care plan. A virtual care platform offers patients’ out-of-town family members a convenient way to become involved in their loved ones’ care, thus alleviating the guilt often associated with not living close enough to provide hands-on support. Identify the patients at risk for readmission. 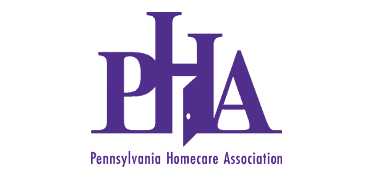 Recognizing which patients are not responding to the home health agency’s communications ensures that emerging health issues do not go unnoticed. With the virtual care platform’s dashboards, home health administrators can see which patients are engaged in their care and arrange for an immediate interventions in the home, preempting unnecessary and costly ER visits, transfers, and readmissions. A referring institution values agencies’ ability to help alleviate the challenges and costs associated with transporting patients to hospitals, minimize the “revolving door” of readmissions, and strengthen the institution’s reputation within the community. 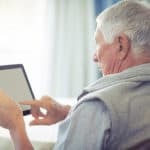 By implementing a virtual care platform, home health agencies can better address PDGM by attracting referrals from Institutions, helping strengthen their own reputation versus other agencies competing for the same referral stream. Lee Horner is the CEO of Synzi. Lee is responsible for corporate strategy and development at Synzi, with an emphasis on revenue growth, product direction and customer satisfaction.